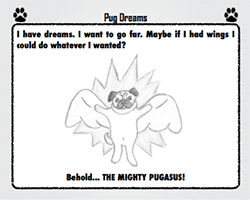 Leto is a pug with an unlimited ability to dream about what he could do or could be. 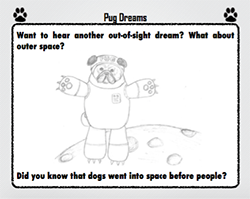 He really has no limits to his imagination, and can see himself doing or being just about anything! 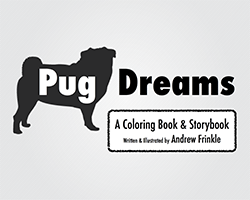 ​See all of his dreams, and then color them in this storybook & coloring book in one! READ THE FIRST 10 PAGES FOR FREE! Leto is SO much more than a lap dog. He's sure to impress you with his ideas! 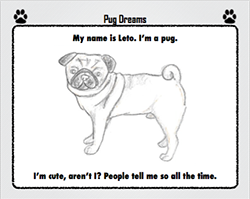 Leto imagines he could be just about anything. What other ideas does he have? Leto knows he can go anywhere and do anything he puts his mind to!